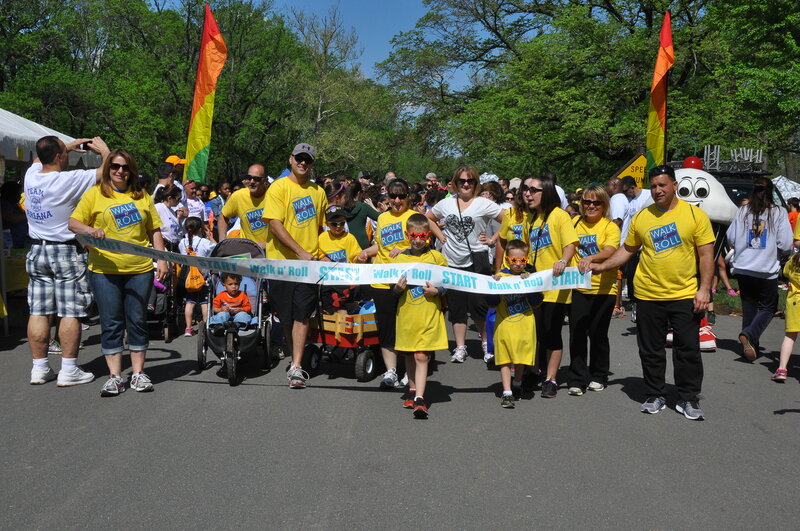 Children’s Specialized Hospital is proud to announce the ninth annual Walk n’ Roll on Saturday, May 16 at Johnson Park in Piscataway. Thousands of supporters are expected to walk or roll with registration opening at 8 a.m. This year’s event will support the hospital care for children with life changing illness or injury at the inpatient rehabilitation hospital in New Brunswick. Official Walk n’ Roll T-shirts will be awarded to individuals who raise $25 or more. Guests will enjoy a 5, 2.5 or 1 mile walk or roll beginning at 10:15 a.m. Families will also enjoy a free carnival with games, fun, food and prizes for all starting at 10:15 a.m.
Fundraising has already begun and teams are forming now. Sign up today at:www.childrens-specialized.org/walknroll. The Walk n’ Roll has grown tremendously over the years from only 750 participants its first year, to over 2,100 last year. In 2014, a record breaking $265,000 was raised. The goal for the 2015 Walk n’ Roll is to surpass that record! Walk n’ Roll chair woman Kim Hanemann, vice president - delivery projects and construction of PSEG and Children’s Specialized Hospital Foundation trustee, is instrumental in leading the event committee to yet another record-setting year. Additionally, Children’s Specialized Hospital is very excited to share this special day with 95.5 PLJ Morning Show radio personalities, Todd Pettengill and Jayde Donovan, as 2015 Honorary Chairs.